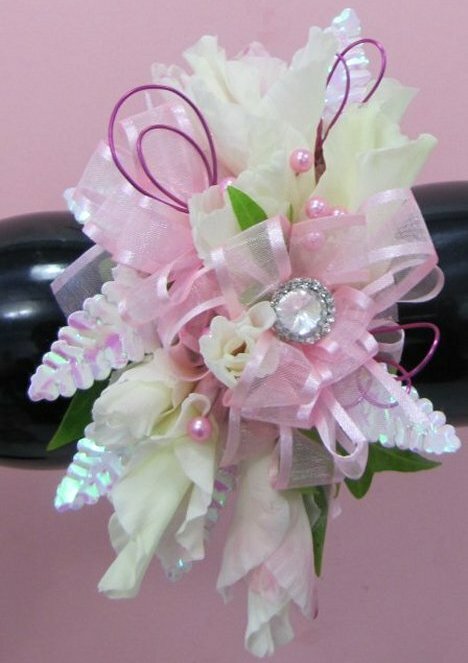 Prom corsages are all about the bling and keepsakes. 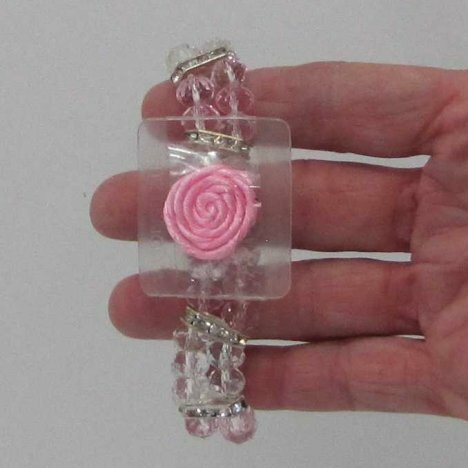 Most young girls love the corsage bracelets made in a large array of styles, beads and colors. Be careful, because some of the narrow versions can become top heavy with the weight of the flowers and spin around on a slender wrist. Wider stretch cuffs fit more snugly on a small boned wrist. 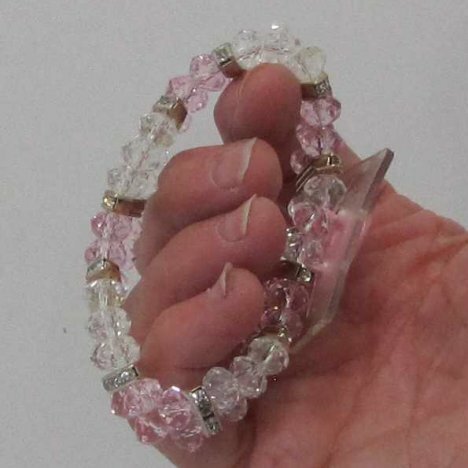 Most of these bracelets come with a silicon pad to attach the flowers (either by floral glue or ribbon) which can be removed later and worn as a keepsake bracelet. 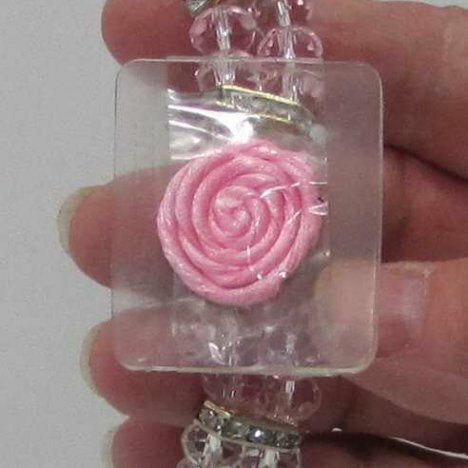 Each flower bracelet comes with a flexible silicone disk as a platform for flowers and a coiled colored ribbon for those who prefer to tie their wired flowers. Remove the protective film that is covering the ribbon and helps prevent it from becoming soiled. 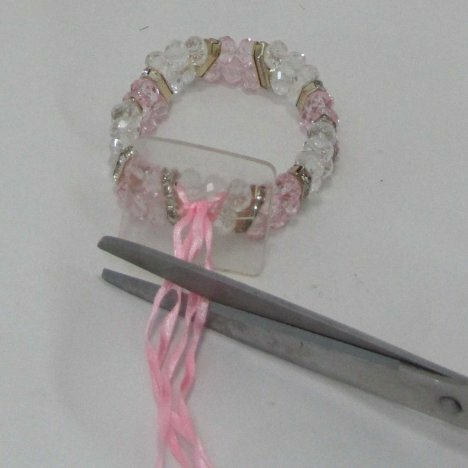 After removing the protective film from the corsage bracelet, gently pull the twisted ribbon away from the silicone base. Holding the ends of the ribbon, allow it to hang free, turning as it untwists itself. 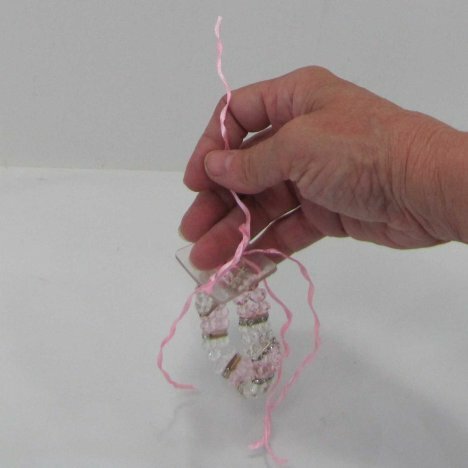 The long ribbons are meant to be used to tie a wired corsage to the silicone base. 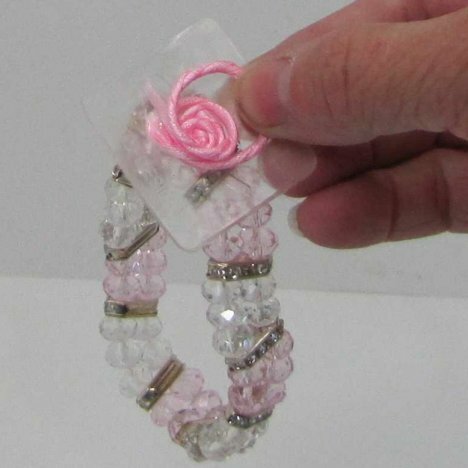 Since this tutorial is shown how to quickly create a corsage by using floral adhesive, I won't need the ribbon. 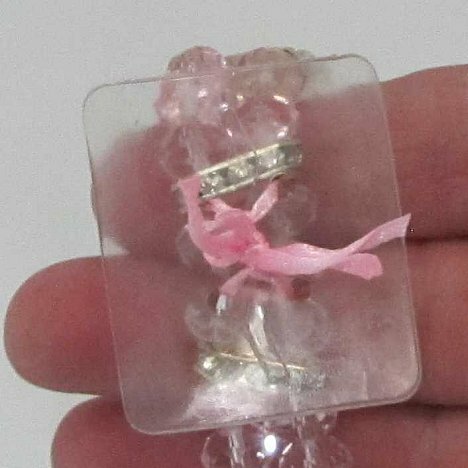 The ribbon also attaches the silicone base to the corsage bracelet. You will need to tie the ribbons in a square knot before cutting the length off. 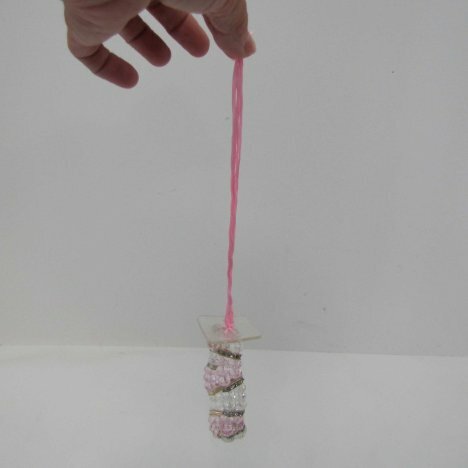 If you forget to do this, the base can come loose and detach from the bracelet. It won't matter if there is a little ribbon left on - you'll glue the greenery, flowers and bows right on top of it. It's easier to make a corsage with floral adhesive than to tediously wire and tape each flower. I was an "old school" florist and it was difficult to convince me that this was a better way of making corsages! I was won over, however, because using florist glue is a much faster method and saves valuable time. Gluing works best when using corsages that have the attached silicone base that provides a large gluing surface. 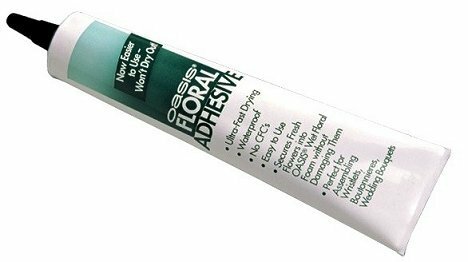 I use Oasis Floral Adhesive designed especially for flowers. 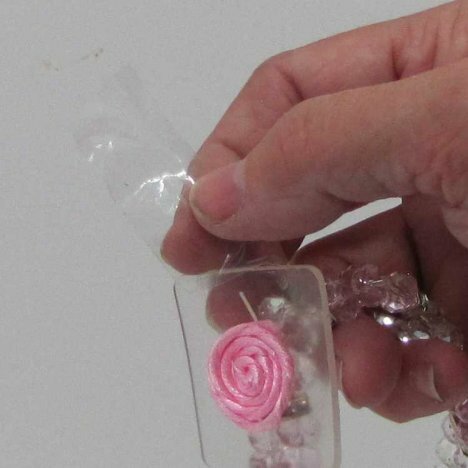 Hot and cold melt glue can damage flowers and have a tendency to "pop off" when refrigerated. The floral adhesive takes a little more time to dry and firmly attach the flowers, but it's impervious to water, won't crack off in cold temperatures and (best of all) won't cause damage to the flower heads. 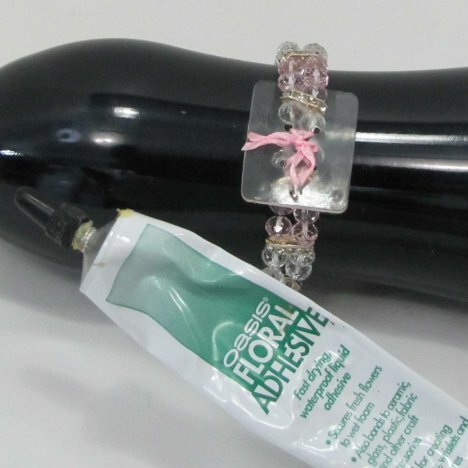 One tube will do at least 3 corsages, depending how much glue you use. 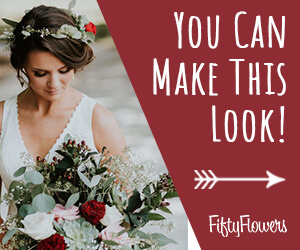 If you plan on a lot of corsages, considering investing in multiple tubes. You'll be glad you did!